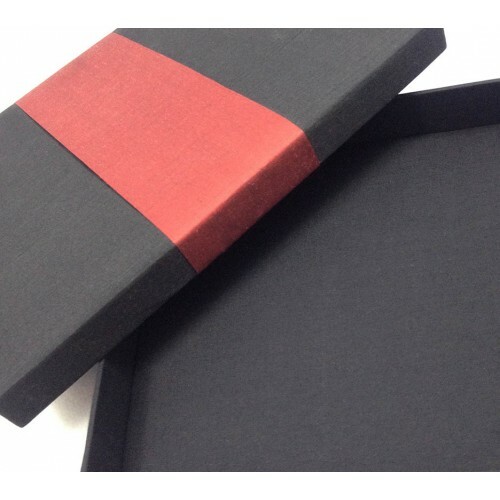 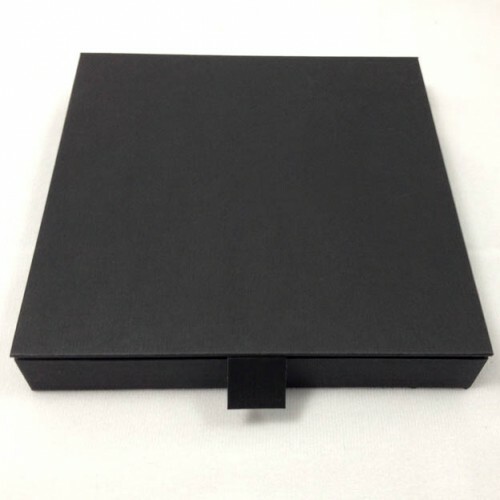 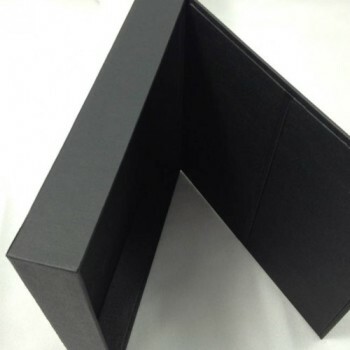 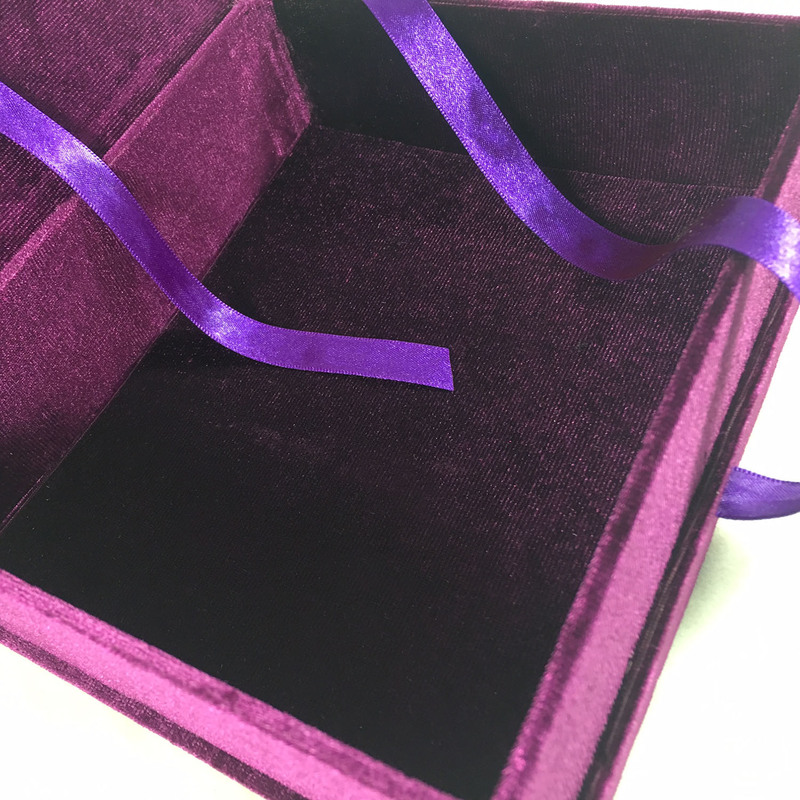 We are specialised in high quality velvet boxes that can be used for your boxed wedding invitation project or as a luxury packaging box for your products or event give aways. 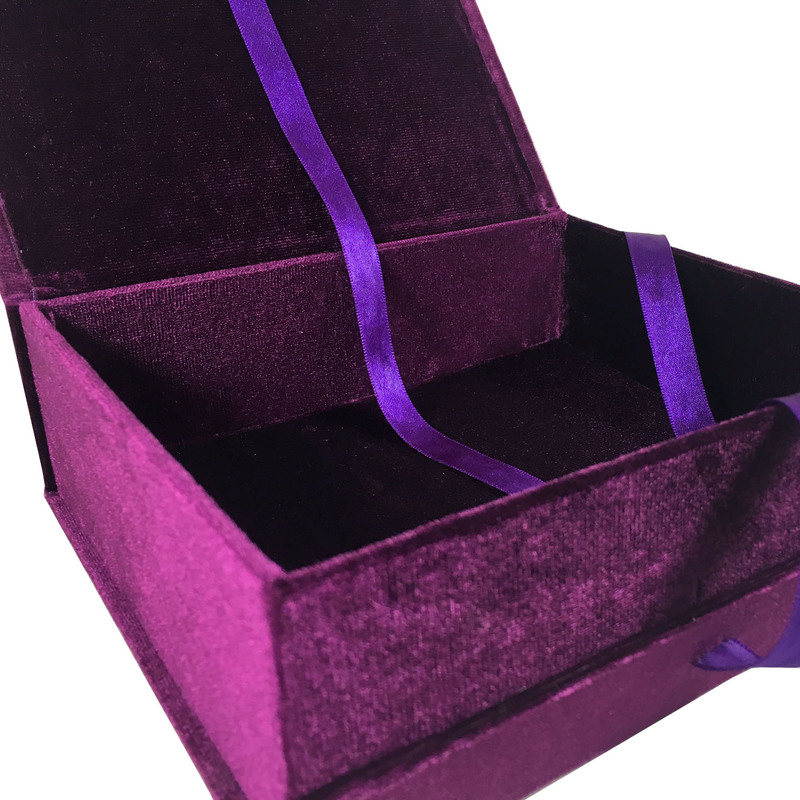 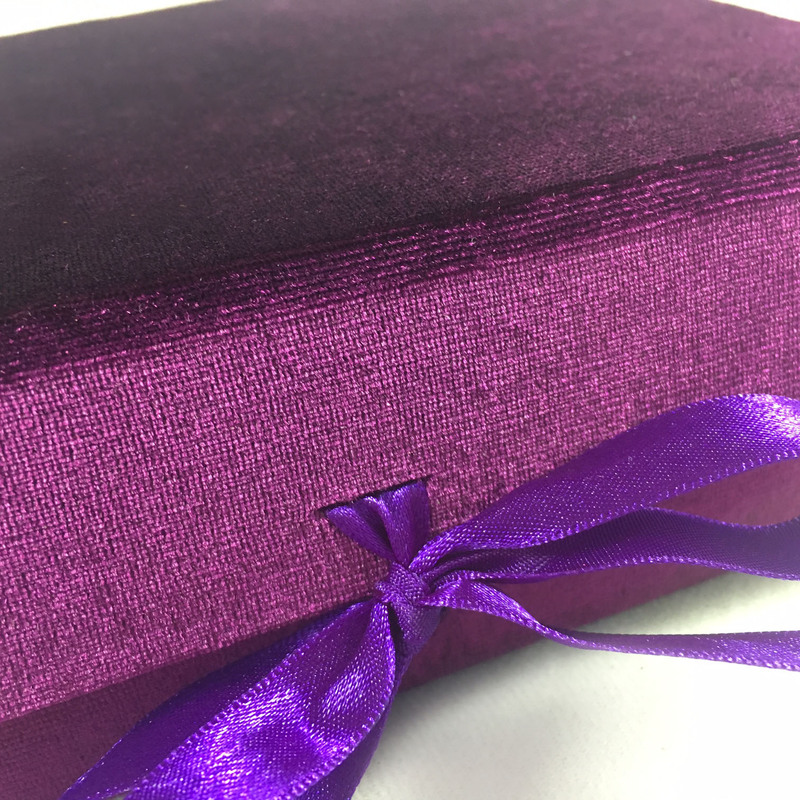 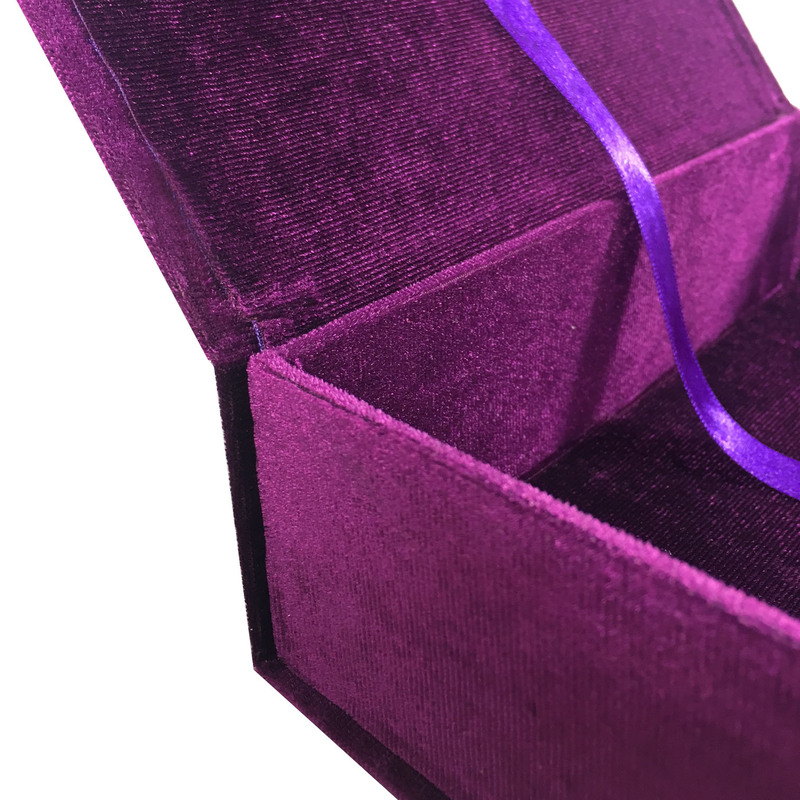 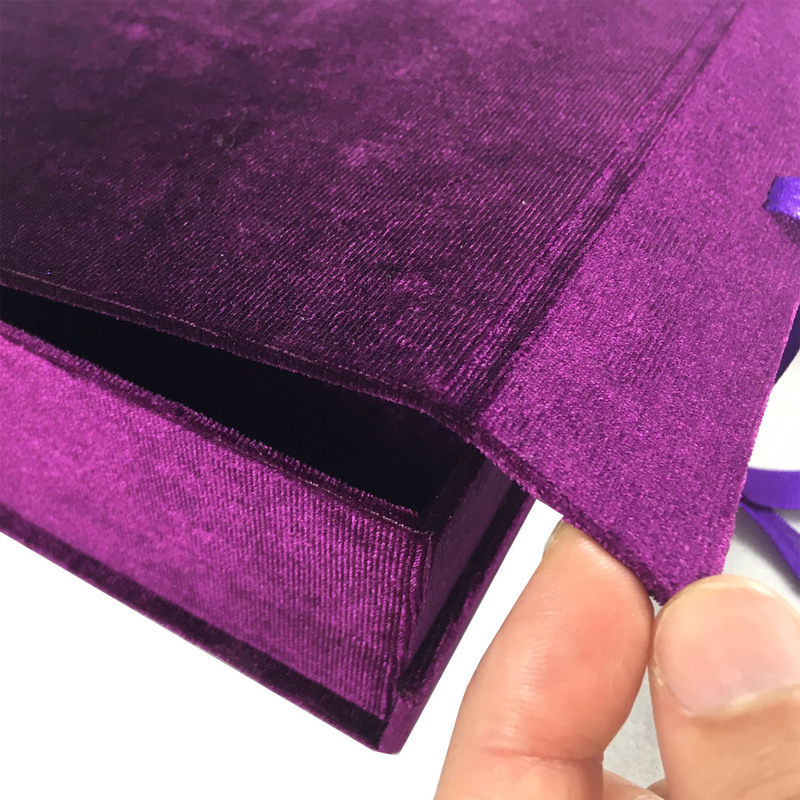 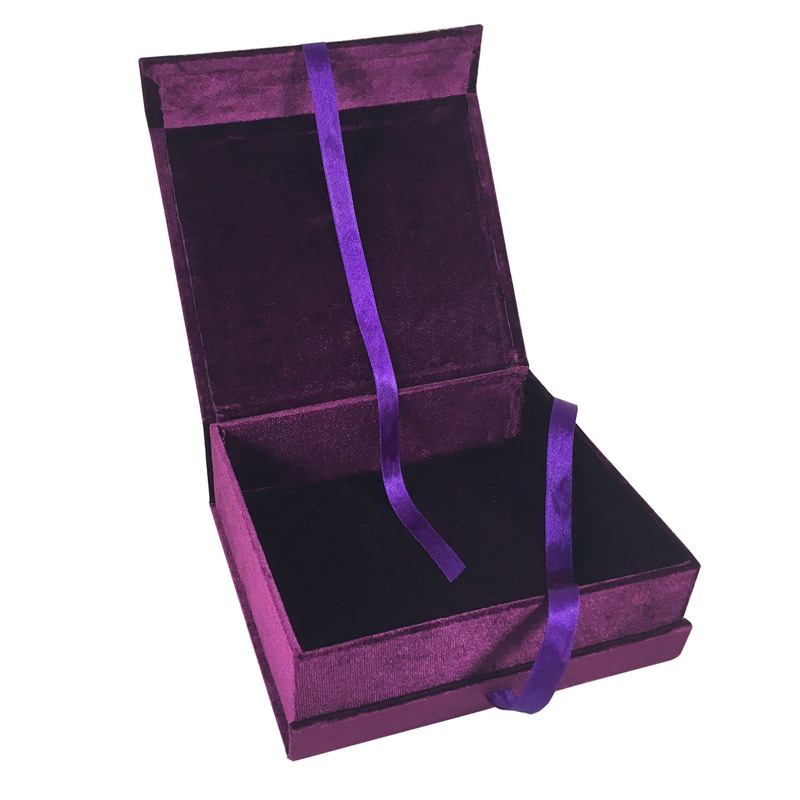 Creative purple velvet box that is handcrafted in our workshop with sturdy cardboard and laminated with Thai velvet fabrics on the inside and outside. 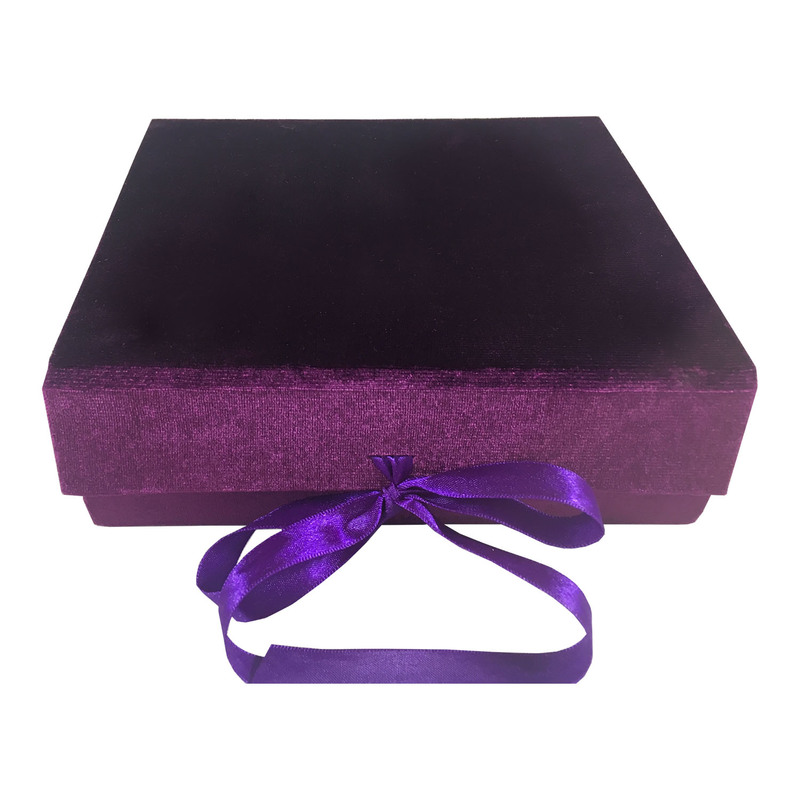 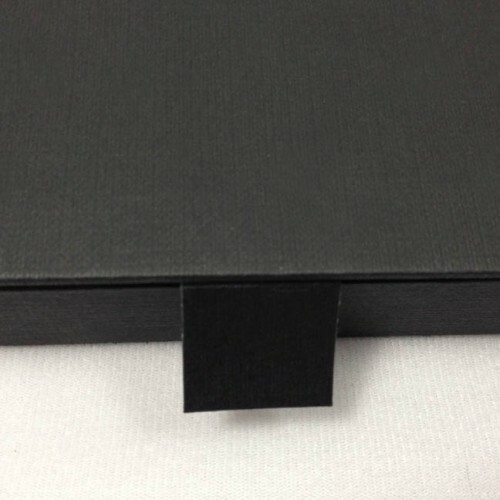 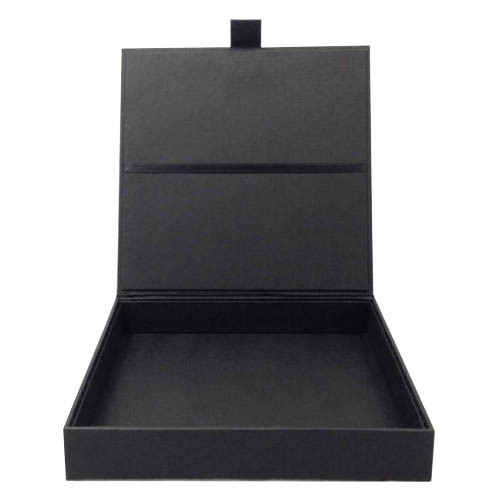 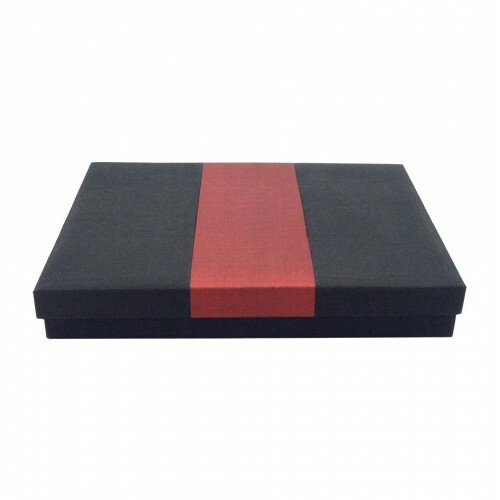 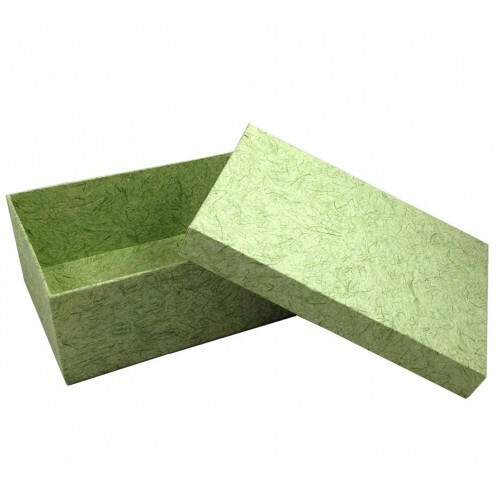 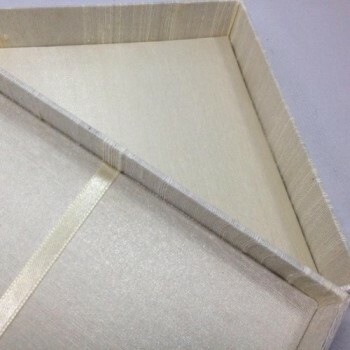 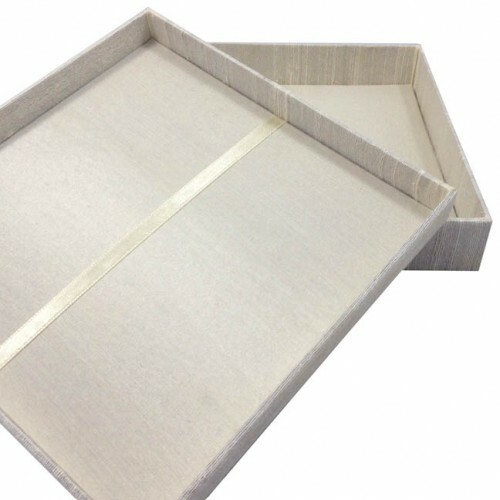 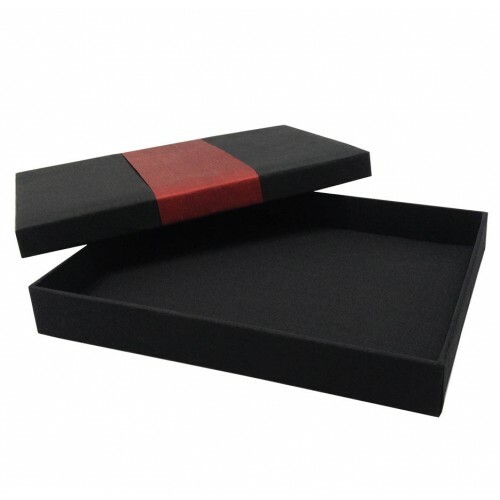 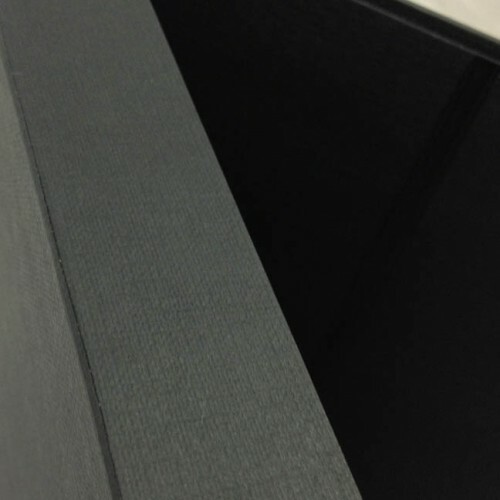 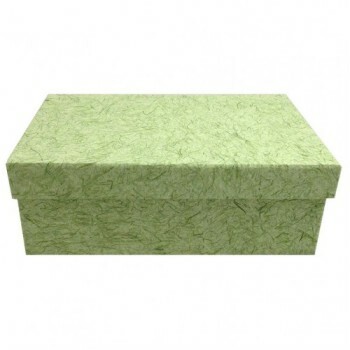 The lift lid box design closes elegantly with a 1.5 cm wide double faced satin ribbon. View the detailed pictures to get an idea of our quality. The color and size can be customized, foil stamp of logos or monograms added onto or inside the box. 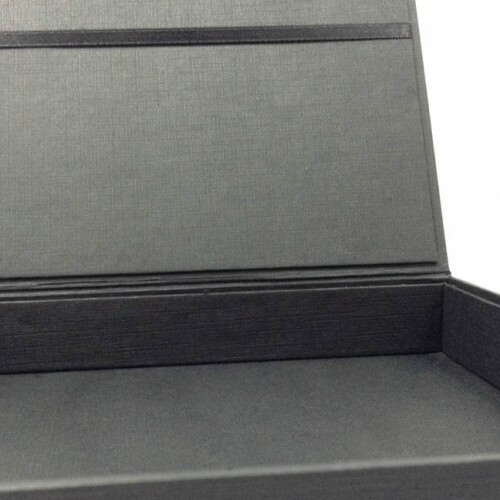 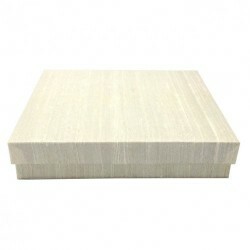 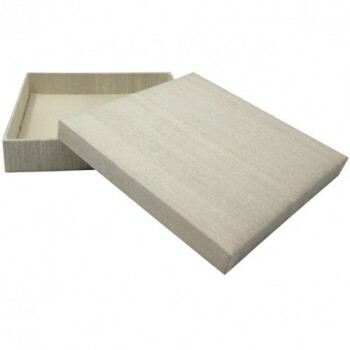 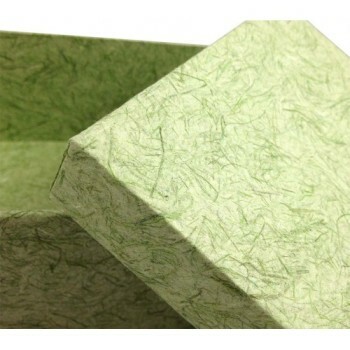 Buy quality packaging boxes for your event, wedding invitations or packaging needs and ask us for wholesale prices.